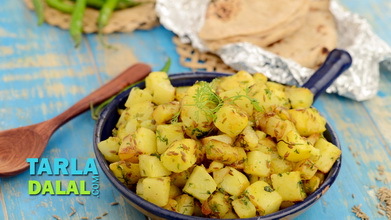 Chatpate Aloo is Punjab's version of the ever popular potato wedges. 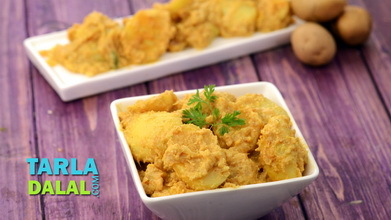 Crisp, deep-fried potato fingers are tossed with peppy spice powders, crunchy capsicum and finally with sesame seeds, which gives the Chatpate Aloo the ultimate aroma and flavour boost! 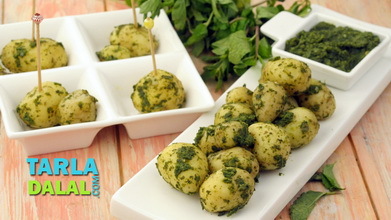 Of the myriad flavours and textures that comprise this snack, the tanginess of amchur powder and the crispness of sesame seeds are especially enjoyable. 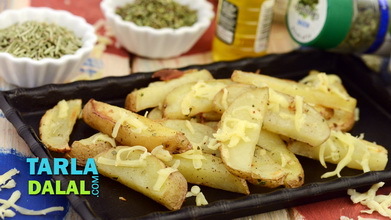 Peel and cut the potatoes into medium-sized fingers, because cutting them too thin will cause them to break while cooking, while cutting it too thick will increase the cooking time unreasonably. 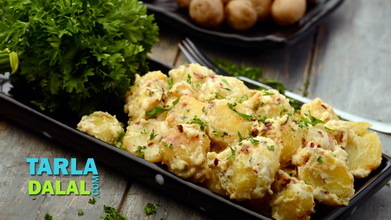 Heat the oil in a deep non-stick kadhai and deep-fry half the potato fingers on a medium flame till they turn crisp and golden brown in colour from all the sides. Drain on an absorbent paper. 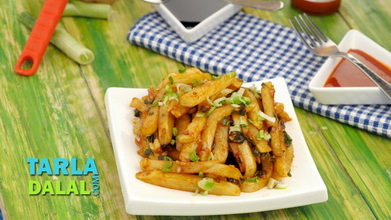 In the same way, deep-fry the remaining potato fingers, drain on absorobent paper and keep aside. 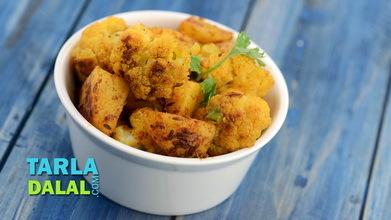 Transfer all the deep-fried potato fingers into a deep bowl, add the coriander powder, cumin seeds powder, chilli powder, dried mango powder, asafoetida, salt and coriander and toss well. Keep aside. 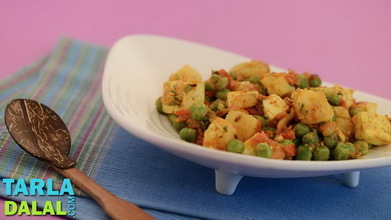 Heat the oil in a broad non-stick pan, add the capsicum and sauté on a medium flame for 1 to 2 minutes. 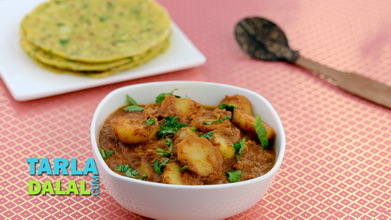 Add the masala coated potatoes, toss gently and cook on a medium flame for another 2 minutes, while tossing ocassionally. Switch off the flame, add the sesame seeds and toss gently.